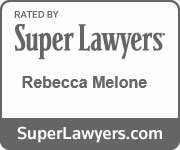 DUI/DWI Attorneys Reston & Northern VA - Melone Law | Melone Law, P.C. With the potential fines, jail time, and other penalties of a DUI/DWI conviction, you don’t want to be unrepresented for your DUI/DWI case in Virginia. Having an advocate for your rights during the process that knows what questions to ask and defenses to use can minimize the impact of an arrest for DUI/DWI. Most of those arrested for DUI are not aware of their rights before, during, and after arrest. Many DUI arrests result from a routine traffic stop, safety check, or other non-DUI interaction. An officer must have reasonable articulable suspicion that a traffic violation has occurred in order to make an initial traffic stop, however, a traffic infraction need not have actually occurred. The officer also does not have to write a traffic ticket in order for the stop to be valid. Once you have been stopped, you have no obligation to answer a police officer’s investigatory questions. (See this video for an example). Questions about how much you have had to drink, where you are coming from, where you are going, etc. are all voluntary. You do need to answer questions regarding identification, insurance, and vehicle registry information. Further, you are not required to get out of the vehicle or to submit to field sobriety tests. The courts have held that these tests are voluntary, although most people feel obligated to follow the instruction of a police officer. If you do answer the officer’s questions and perform field sobriety tests, the officer may have you perform a breathalyzer test. Because of Virginia’s implied consent law, all drivers are deemed to have consented to BAC testing once an officer arrests them on suspicion of DUI/DWI. A first violation for refusal is a civil infraction resulting in administrative penalties on your license. Additional violations are criminal offenses. If you are arrested for DUI/DWI in Virginia, you should seek legal counsel as soon as possible to start preparing your defense.